Please turn in a new Free and Reduced Price School Meals Household Application for the new school year. Students who were approved for free or reduced meals last school year may only receive meals on that basis for the first few days of school. A link to the application and information letter is below. You may also go by your school's office and request one or come by the Alleghany County Schools Central Office located at 85 Peachtree Street, Sparta. Unless requested at point of sale, change will not be made and will instead be put in the student’s account to go toward future purchases. On May 24th, 2018 a reception in honor of Margaret Royal was held at Sparta Elementary School's Cafeteria. 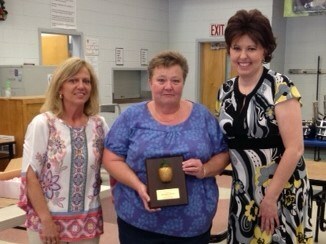 Mrs. Royal is retiring at the end of this school year with 21 years of service. Mrs. Royal was joined by several of her School Nutrition Program coworkers and family members, as well as several staff and teachers from Sparta Elementary School. A plaque commemorating her 21 years of service to the Alleghany County School System and the School Nutrition Program was given to Mrs. Royal with much appreciation. 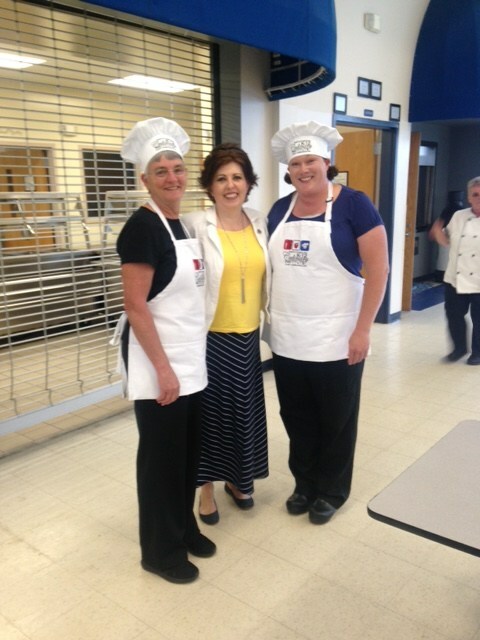 members of the School Nutrition Team during the new school year. The School Nutrition Program is pleased to sponsor the Smart Snack Program once again this year which provides healthy snacks to students enrolled with the 21st Century After School Program at each of our elementary schools. There are three GREAT things about the program: 1) snacks provided everyday to those enrolled in the program, 2) healthy snacks consist of 2 out of 4 components (Milk, Vegetable/Fruit, Whole Grain item, or Meat/ Meat Alternate item) that meet Smart Snack guidelines, and 3) ITS ALL FREE! Students do nothing to participate other than be enrolled in the 21st Century program. Lunch Prepay - K12 Payment Center (see link below with "Important Links"
We wanted to make you aware of this change. This is a legitimate email from K12PaymentCenter.com and there is no issue with the website. $10 lifetime membership fee includes all students in your family; $1.95 fee per transaction with no maximum payment required and deposits can be made to multiple student accounts with one single payment. Step-by-step registration is easy and your information is always confidential. See your student's meal account balance and history anytime with auto notification available to notify you if balance falls below a pre-determined amount. Parents are encouraged to take advantage of the online meal prepay system. Go to www.k12paymentcenter.com today! Before you register, make sure you have your child's student identification number available. You may also call the Technical Account Specialist team at (800) 541-8999, option 1, if you have questions. The School Nutrition Program's breakfast and lunch menus are published by the week in each weekly edition of The Alleghany News andThe Declaration.